Many of us are best friends with the common basil with its powerful flavour and signature scent. 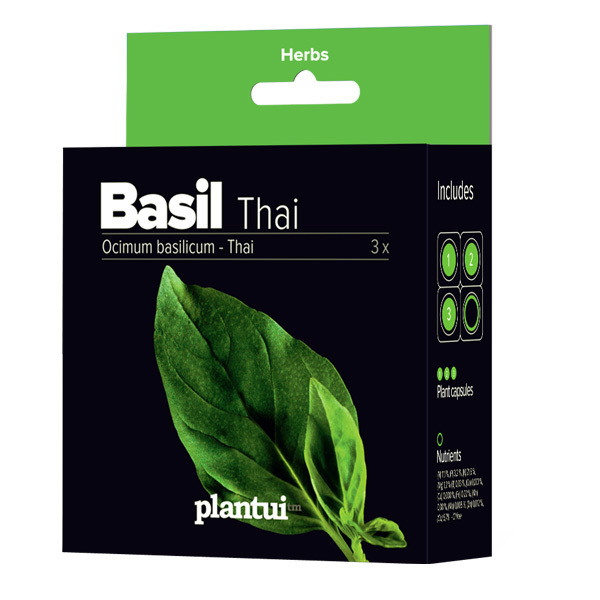 Thai basil is a relative of the herb we typically associate with Italian cuisine, but has a sweeter, warmer flavour with a hint of aniseed or licorice, and some say even pepper and cinnamon. 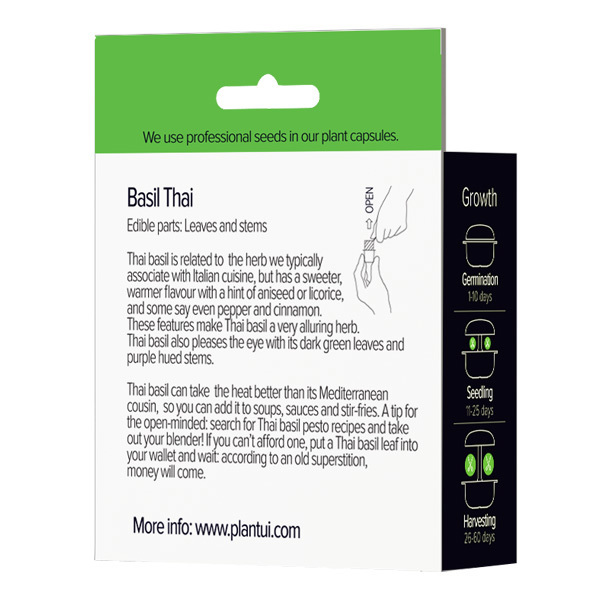 These features make Thai basil a very alluring herb for the creative cook. 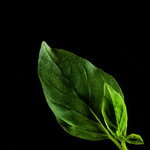 Thai basil also pleases the eye with its dark green, fragrant leaves, dense push and purple hued stems. If you let it grow for a longer time, you’ll get pretty pinkish flowers, which can be quite delicious, actually, when chopped to smaller pieces. Thai basil can take the heat better than its Mediterranean cousin. That’s why you can add it to add flavor to Oriental soups and sauces. The obvious uses include also stir-fries and noodle dishes. For the open-minded, here’s a tip: search for Thai basil pesto recipes and take out your blender! If you can’t afford one, don’t worry. Just put a Thai basil leaf into your wallet and wait: according to an old superstition, money will come.